For the fourth consecutive year, the New Hampshire Liquor Commission and Jack Daniel’s Tennessee Whiskey are teaming up for the award-winning Live Free & Host Responsibly campaign. Launching in April to coincide with Alcohol Awareness Month, Live Free & Host Responsibly promotes responsible service and consumption of alcohol throughout the year. The New Hampshire Liquor Commission and Jack Daniel’s Tennessee Whiskey are teaming up to launch the award-winning Live Free & Host Responsibly campaign in April to coincide with Alcohol Awareness Month. Live Free & Host Responsibly promotes responsible service and consumption of alcohol in a fun and interactive way throughout the year, including a Cocktail and Mocktail Competition for consumers and bartenders/wait staff at licensed New Hampshire restaurants and lounges. Pictured above is the 2017 professional bartender Cocktail and Mocktail Competition winner, Megan Price from Lago Trattoria, competing for the title with her “Tennessee Twist” cocktail and no-alcohol “Tame Tennessee Twist” version. For the fourth consecutive year, the New Hampshire Liquor Commission and Jack Daniel’s Tennessee Whiskey are teaming up for the award-winning Live Free & Host Responsibly campaign. Launching in April to coincide with Alcohol Awareness Month, Live Free & Host Responsibly promotes responsible service and consumption of alcohol throughout the year. As part of Alcohol Awareness Month, NHLC’s Enforcement and Licensing Division will host its annual Alcohol Awareness Poster Contest. Now in its 10th year, the contest was designed to empower students to tackle alcohol awareness through art. Pictured above is a poster created last year by Lea from Alvirne High School which was selected as the 2017 overall winner. NHLC is launching Live Free & Host Responsibly this month to coincide with Alcohol Awareness Month, which takes place every April. Alcohol Awareness Month was founded by the National Council on Alcoholism and Drug Dependence, Inc. (NCAAD) in 1987 to increase public awareness of alcohol abuse and fight the stigma that prevents some people from seeking help. Live Free & Host Responsibly offers tips for responsible serving and hosting, videos with cocktail and mocktail recipes that emphasize responsible consumption, downloadable recipe cards, and more all available on a responsibility-focused web page at www.liquorandwineoutlets.com/responsibility. Recipes and tips are developed by Tim Laird, America’s Chief Entertaining Officer. Laird is an authority on wines and spirits with more than 20 years of experience in the hospitality industry. A connoisseur of fine wines, spirits and champagnes, Laird is also a gourmet chef and master at entertaining. Laird makes hundreds of appearances each year on radio and television programs and has appeared on The Today Show, The CBS Early Show, Fox & Friends, The Tonight Show, ABC World News Now, CNN, FOX News and CNBC networks. The Live Free & Host Responsibly Cocktail and Mocktail Competition encourages creative ways of utilizing Jack Daniel’s products, while also exploring alcohol-free alternatives. 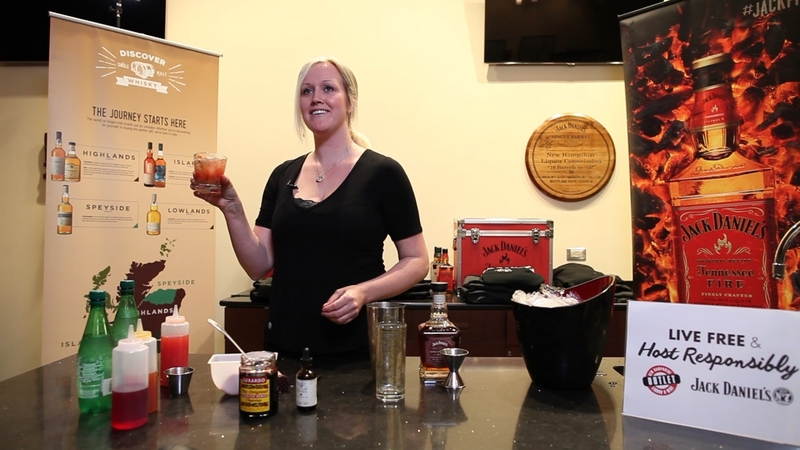 Entrants create two unique recipes: a cocktail featuring one product from the Jack Daniel’s family of brands, as well as an alcohol-free mocktail. There are separate categories for consumers and bartenders/wait staff at licensed New Hampshire restaurants and lounges. Entries can be submitted online, and four finalists in each category will be selected to compete for cash prizes, Jack Daniel’s merchandise, and more. A full list of rules and prizes are available at www.liquorandwineoutlets.com/responsibility. As part of Alcohol Awareness Month, NHLC’s Enforcement and Licensing Division will host its annual Alcohol Awareness Poster Contest this April. Now in its 10th year, the contest was designed to empower students to tackle alcohol awareness through art. Students often focus their creative works on the consequences of underage drinking. During 2017, NHLC received 382 poster entries from every grade level Kindergarten through Grade 12. Students from all grade levels may submit posters by May 4, 2018, to NHLC Division of Enforcement and Licensing, 50 Storrs Street, Concord, NH 03301, Attn: Greg Gagnon. Judges will select winners for each grade level in addition to overall winners. 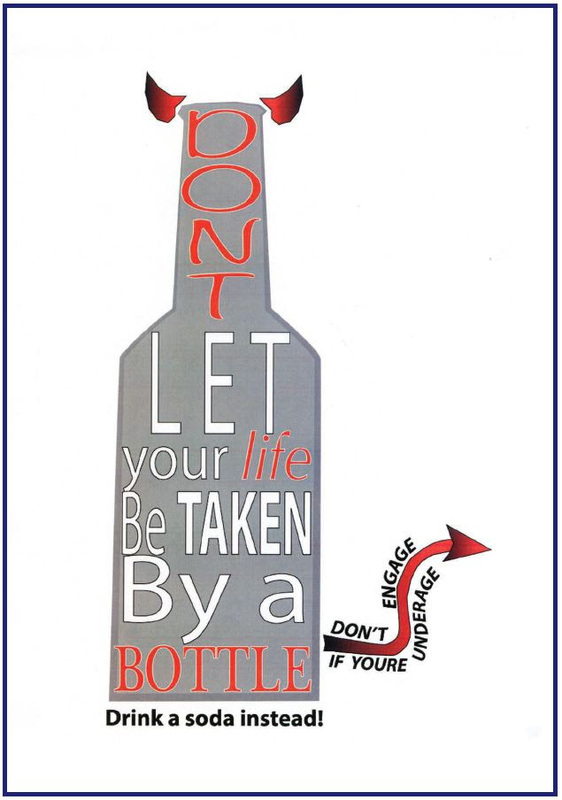 Winners’ artwork will be adapted into an official alcohol awareness poster to be returned to their schools. Along with a series of prizes, winners will be honored at a New Hampshire Fisher Cats game later this year. Winning posters will be displayed at NHLC headquarters and in select NH Liquor & Wine Outlets. The Division will host a series of free trainings in April designed to ensure lounge and restaurant owners, managers and servers, along with NH Liquor & Wine Outlet staff members, have the tools and resources they need to help make sure customers do not abuse alcohol. The Division will also be hosting “Sticker Shock” events during New Hampshire Fisher Cats home games in April. “Buyers Beware” stickers will appear on draft beer cups to help raise awareness that adults should not supply alcohol to minors. Additionally, the Division will host driver education/fatal choices events for aspiring drivers utilizing an impaired driver simulator to ensure new drivers understand the laws surrounding unlawful possession of alcohol and driving while intoxicated. The New Hampshire Liquor Commission (NHLC) operates 79 retail locations throughout the Granite State and serves more than 11 million customers each year. More than $3.5 billion in net profits has been raised since the first store opened in 1934. NHLC set an all-time sales record in Fiscal Year 2017, generating $698.2 million in gross sales, an increase of $19.8 million – or 2.92-percent – over the previous fiscal year. Total liquor net profits reached $159 million, of which $155.7 million was transferred to the New Hampshire General Fund, which is used to fund programs including education, health and social services, transportation and natural resource protection. Additionally, $3.3 million was transferred to New Hampshire’s Alcohol Abuse Prevention and Treatment Fund, which utilizes a percentage of NHLC profits to fund addiction treatment and prevention programs. Visit www.LiquorandWineOutlets.com to locate a store, search for product availability, learn about monthly sales, review wine tasting schedules, and sign up to receive significant savings with monthly Email Extras.